FC United is Chicagoland's leading competitive youth soccer club and has programs for players 4-18 years old. At FC United, we build passion and expertise in every player and team. Our player first philosophy provides the absolute best future development opportunities for our young athletes. Because of this, many of our athletes end up getting recruited to play soccer in college. We are delighted to learn when our players want to continue their soccer story. We will always be their number one fans and follow them along the way. 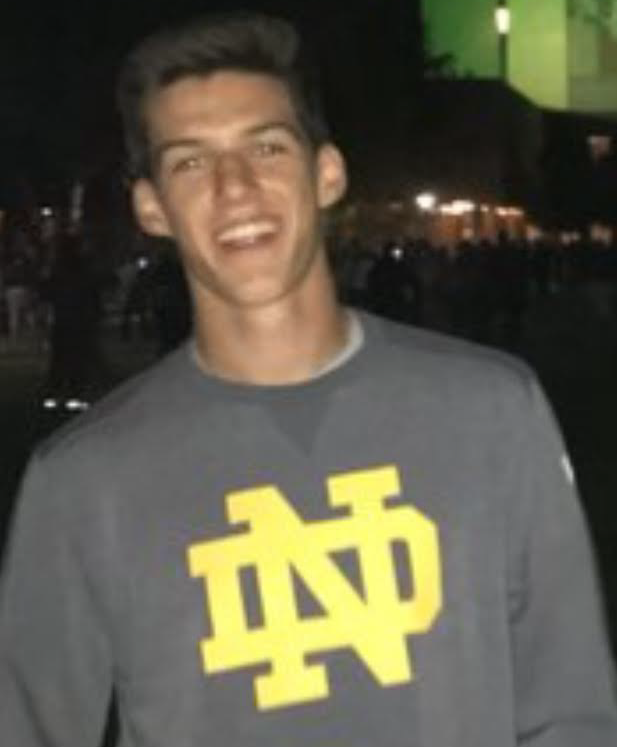 Thomas Deslongchamps recently committed to University of Notre Dame in South Bend, Indiana.Thomas grew up in Whitefish Bay, WI and will be graduating from Marquette High School in 2019. He has been with the club since 2016 and currently plays for our FC United U 1999/2000 DA. He is choosing to play college soccer because it has played such an important role for so much of his life. How did Thomas get recruited? Well, we've asked him all the questions you want to know! Thomas’s passion for soccer is clear and he wants to share his story hoping to inspire all of you! FCUDA - What challenges are you expecting to face as a collegiate soccer player? TD - As a goalkeeper, there will always be competition amongst the competing goalkeepers on the team, and I expect to have to work hard to earn playing time. With that being said, I look forward to the challenge, and I know that the other goalkeepers are great guys who want to see each other succeed. I can’t wait to begin working with them. FCUDA - How did FCU prepare you to become a successful student athlete? TD - FCU is an organization that is concerned with the development of the whole person, not just the soccer player. The staff have made it clear that grades are a priority, which was a large part of why I was able to commit to Notre Dame. If there was a time where I felt I needed to take a night off from training to prepare for a test/paper, my coaches were accommodating and encouraging. FCUDA - What is your favorite restaurant and what do you get there? TD - I am a huge fan of Doc’s Smokehouse in Milwaukee, WI. They have, without question, the best brisket I have ever had the pleasure of consuming, and I strongly recommend it if you are ever in the area. FCUDA - Who is your biggest inspiration? TD - The man who made me want to become a goalkeeper is Iker Casillas, and I currently try to model my style after Manuel Neuer. However, in life, I aspire to be as much like my dad as I can be. If I am someday half the man he is, I will consider myself successful. FCUDA - Who is your favorite Sports Team and why? TD - I have followed Bayern Munchen for many years now, having come from a very German tradition at Milwaukee Bavarian SC. FCUDA - Do you have any pregame rituals or superstitions before a game? TD - Coach Stan has brought his own aspects to a pregame warmup that I find helpful, and there are also personal facets to game preparation. For example, if I am not driving myself to a game, I will watch a video of the best saves from different goalkeepers from around the world, and get in the zone to make big saves myself. In addition, I relive, in my head, the best saves I have made. These things are all important to stepping on the pitch with the mentality that I am unstoppable, and they allow me to radiate confidence. FCUDA - What would your dream job be? TD - I would be lying if I said anything other than playing for Bayern Munchen! I hope to play professionally after college, and then use my Norte Dame Degree to pursue a career in business. FCUDA - What's your fondest FCU memory? TD - My favorite FCU memory is probably just a compilation of all the shooting practices we’ve had. When the guys are going to goal, and its 1 v 1, all of the best aspects of the sports come out, and the competitive nature in everyone is magnified in all of the right ways. Everyone takes pride in their finishing/shot-stopping ability, and there is always a lot of respect for an exceptional goal/save. Thomas Deslongchamps, congratulations on committing to play collegiate soccer at University of Notre Dame! We see bright things ahead for your future and will be rooting for you along the way! There are many attributes that college coaches look for when they are recruiting players. Many of these attributes align with how we develop our players. We are so proud of all of our boys and girls. CLICK HERE to see where our other FC United and Development Academy players are going and have gone.